Customised automated daily KPI tracking tool for logistics helps save time and money. 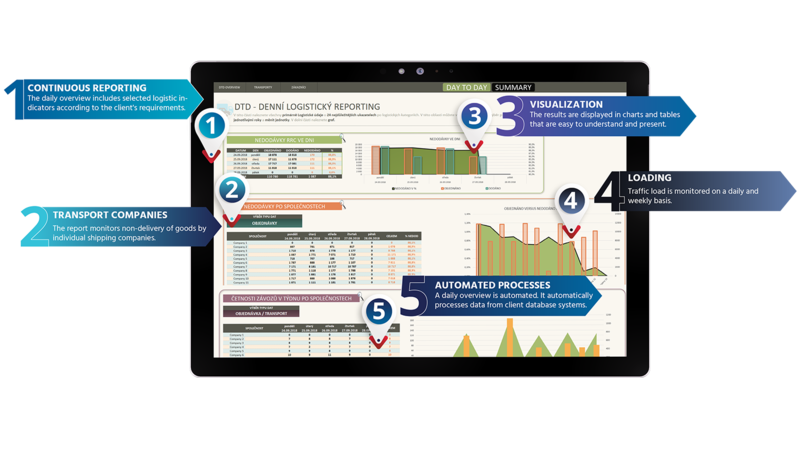 Day-to-day KPI Summary is an automated report of KPI in logistics. It tracks the daily operations and evaluates the results on a daily basis. It focuses on indicators that help the client continuously evaluate the performance and efficiency of logistics. This allows him to flexibly respond to emerging challenges. The goal of the logistics manager is to smoothly ship all orders. If there is seasonality in the business, which is the case with most of our clients, there are seasons when the day-to-day logistics operation is especially challenging. The number of orders is growing, and while the logistics department seasonally increases its capacity, the overall impact on logistics management is considerable. The daily summary of KPI saves time of the logistics manager during high seasons and outside them as well. Every morning he has at his disposal an overview of the most important indicators and he can respond accordingly. If necessary, he can make effective changes to the organization of work. 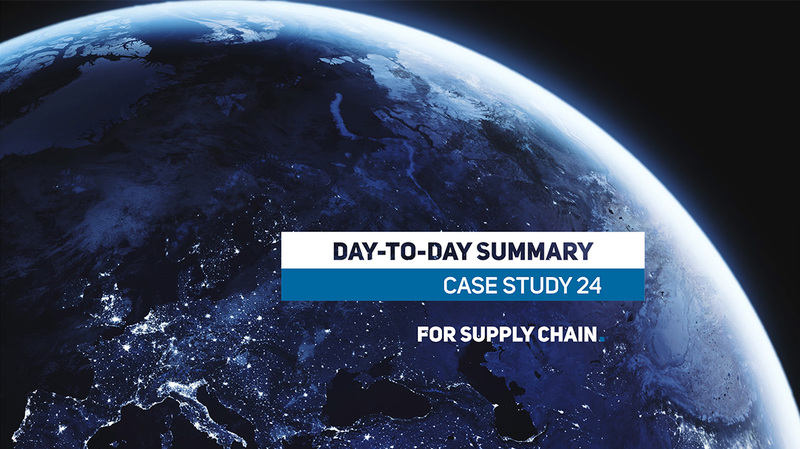 He has an overview of the efficiency of logistics partners and can in general shorten the time needed for response to potential customers´problems. The Day-to-Day KPI Summary automatically processes data on orders and deliveries from internal database systems. A designated employee simply inserts the data to the service section of the report. All further data processing and calculations run automatically. The first set of daily indicators that the client monitors refers to undelivered units. In easy-to-read tables and charts, the user can see a summary of undelivered units sorted by days and logistics companies. If the client wants to see more detail, there are two more worksheets available in the report. The first one shows all shipments with some kind of problem. The second one shows an overview of orders with which problem in delivery, whether the goods were not delivered at all or the delivery was incomplete. The second set of indicators monitored in the report is related to truckload efficiency. It evaluates the number of shipments in individual workdays and also the truckload for each shipment. With this quick overview of vehicle capacity utilization, the logistics manager has an on-going overview of the work of dispatchers and can supervise the efficiency of work. This can in return save a lot of money. Outputs from the daily summary of KPIs can also enter longer-term performance reports, such as Operations Summary or Customers Summary. It is possible to track on daily basis any indicator according to the wishes and needs of our client.